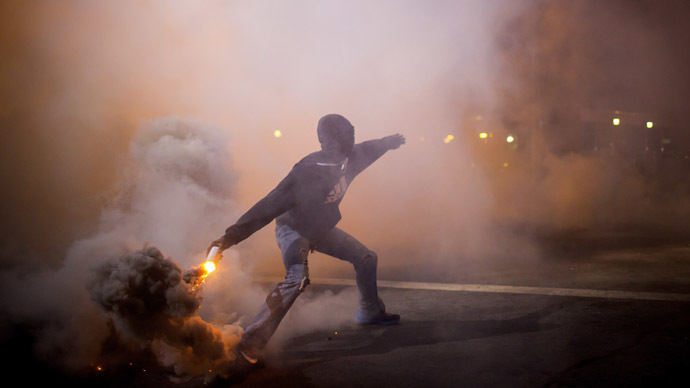 Pepper spray has been deployed to enforce a citywide curfew in Baltimore, Maryland. While scheduled to be lifted at 5:00am, it will recur nightly for a week. Minors’ movements will be restricted even further. Violating the restrictions is a misdemeanor. 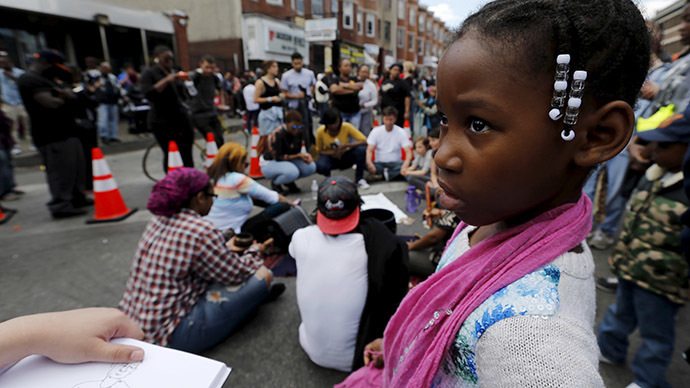 After the curfew kicked in in Baltimore at 10:00pm ET on Tuesday, few patches of protesters remained on the street with authorities warning that violators could face arrest. After some protesters began hurling firecrackers at police, authorities were prompted to respond with tear gas giving a clear signal for rioters to disperse. Baltimore Police Chief Anthony Batts said a total of 10 people were arrested after curfew, as he said he was “very pleased” with how demonstrators and police conducted themselves. Two of the arrested were taken into custody for looting and one for disorderly conduct. 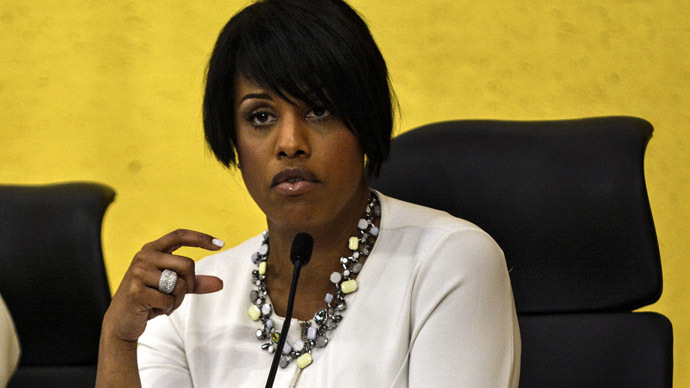 There are exceptions in place to the week-long curfew for emergency personnel, people commuting to or from work for essential functions and students traveling for classes, Mayor Stephanie Rawlings-Blake said. “Too many people have spent generations building up this city for it to be destroyed by thugs who – in a very senseless way – are trying to tear down what so many have fought for,” Rawlings-Blake said. Kevin Harris, a spokesman for the mayor, told the Baltimore Sun the curfew wasn't set to take effect until Tuesday because police needed more time to ramp up efforts so that one was enforceable. 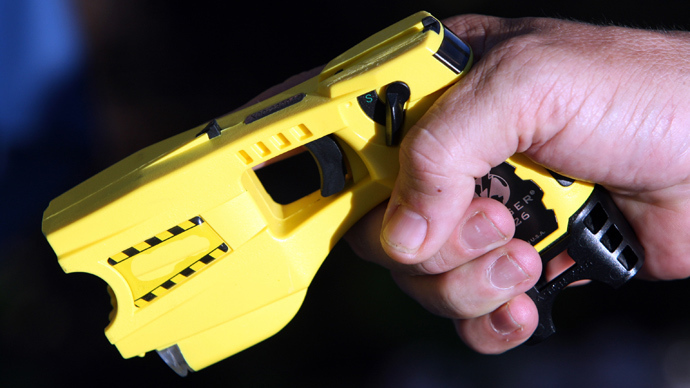 Police spent much of Monday combating violence. Harris also said people needed to have reasonable notice before a curfew is enforced. The restrictions are even more severe for the city’s youth, according to Baltimore Councilman Eric Costello.
.@space2127@WBALettis There most definitely is a 5am -10pm curfew for youth. More info to be released soon. There is already a citywide curfew in place for Baltimore’s youth ‒ who make up about 21 percent of the city’s population ‒ and it’s considered one of the strictest in the country.
.@wbaltv11 As stated earlier, there are more specifics to curfew which havent been released. In June, the Baltimore City Council voted 13-2 in favor of the measure as boos and chants of “no new curfews” rained down on the council. Rawlings-Blake signed the bill, which requires children under 14 to be off the streets year-round by 9:00pm Under the normal curfew, children 14 through 16 are able to stay out until 10:00pm on school nights, and 11:00pm on weekends and over the summer. The law also extended the daytime curfew hours. The previous law read: “No minor under the age of 16 may remain in or about any public place or any establishment between the hours of 9:00am and 2:30pm on any day during which the minor is required to be in school.” The curfew enacted by the council is 7:30am to 3:00pm. “Non-essential business operations” should be suspended during the hours the curfew is in effect, the mayor's office said in a statement. Restaurants, entertainment venues and bars should be closed between those hours, and visitors and patrons should plan enough time to travel before the curfew takes effect, it added. The curfew begins four hours before the city’s mandated 2:00am closing time. “That’s gonna crush us ‒ on top of the fact that nobody’s going to be downtown for a while, so we’re going to lose all kinds of business for that,” David Niehenke told the Baltimore Business Journal. He is the owner of Mick O'Shea's Irish Pub in Baltimore’s Mount Vernon neighborhood, which has remained relatively untouched by the unrest in the city. Niehenke estimates Mick O’Shea’s will lose about $2,000 a night. “That will add up quick ‒ not to mention staff losing money,” he said. “The bartenders come in 6:30pm-7:00pm for work, so they're going to have what, two hours to work? Wait staff, kitchen staff ‒ everyone's going to lose work." The University of Maryland, Baltimore announced that it would close its campus at 7:30pm each day as long as the city curfew is in effect. Critics question the effectiveness of curfews in curbing unrest and violence. Human rights advocates note there is little substantive legal scholarship on the long-term impact of emergency curfews, particularly those placed on impoverished, predominantly poor communities of color ‒ the same ones that are most likely to experience an increased police presence, according to TakePart’s Rebecca McCray. McCray points out that the last time there were riots in Baltimore, a predominantly white crowd overturned cars and looted a convenience store after the city’s football team, the Ravens, won the Super Bowl in February 2013. No curfew was introduced during that spate of violence. The curfew will remain in effect until May 4, unless it is renewed or rescinded by Rawlings-Blake.